On the day of Eun-jae’s wedding, the groom, Young-hun, fails to turn up and the delivery man hands her a letter from him saying “sorry.” The photographer, Moo-yeol, takes Eun-jae by the arm as she stands panicking in front of countless guests and runs out of the hall. Unable to bring herself to admit the annulment of her wedding, Eun-jae pleads Moo-yeol to play the role of her husband at the housewarming party, and Moo-yeol does a splendid job. Meanwhile, Eun-jae finds out that the reason for the break-up of her wedding was because of her poor financial situation. Young-hun had gravely worried about reality issues if he were to marry Eun-jae and Seo Wu-gyung had suggested just on time full financial support if he drops the wedding with Eun-jae. 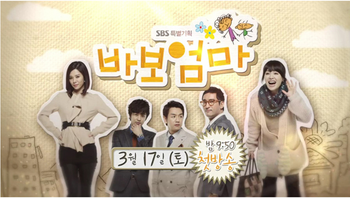 Eun-jae makes up her mind to make money, thinking that she’d be able to get Young-hun back if she becomes rich. In the meantime, Moo-yeol’s father, who was in the sanitation facility business, goes bankrupt. When the beachside house that holds many cherished memories of his family is in danger of being seized by creditors, Moo-yeol vows to make money. However, Seo Wu-gyung plans to buy the beach house to build a research center for Young-hun and attempts to stop Moo-yeol from paying off the creditors. Thus, Eun-jae and Moo-yeol decide to join forces. They invest every cent in their possession to begin an “online flower delivery” service. But who said making money was easy? Their prospects become increasingly gloomy but on top of that, Seo Wu-gyung begins to interfere when he finds out that Moo-yeol and Eun-jae are in it together. 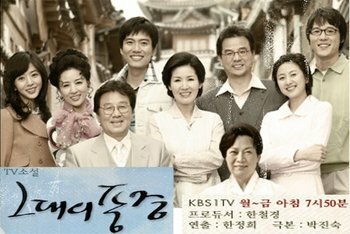 To make matters worse, Eun-jae and Moo-yeol’s different backgrounds and values about money cause internal conflicts between them, not to mention people around them that seem to be allies at times but enemies at others… Will Eun-jae and Moo-yeol’s quest to make a million dollars ever succeed?